We are a family run business of more than 50 years specializing in Heritage listed Restoration, unique paint finishes and all types of paper hanging. 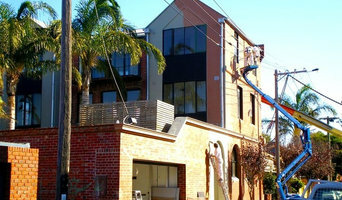 At Mclean Painting our painters are committed to excellence and ensuring your Melbourne property looks its best. During our 12 years in business, we have earned ourselves a strong reputation for being the leaders in painting in Melbourne. With a combined experience spanning over 100 years, you can trust our talented painters to produce exceptional painting results. We are a company built on integrity, quality, professionalism, trust, reliability and repeat business. When you hire our painters in Melbourne, you will find these aspects ring true in every aspect of our service. It is our mission to provide a service that caters for all homeowners, builders, architects and project managers. Whether it’s a single bedroom painter, a full interior and exterior paint, or a large-scale corporate contract, we do it all. Industrial Domestic Commercial Painting Service has been catering to all the painting needs of Melbourne since 1995, our highly trained painters will work to deliver the best result for all your industrial, domestic, and commercial painting needs. We cater for large scale industrial and commercial painting clients. 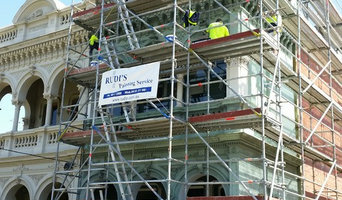 Our painters, along with our maintenance team, can provide long-lasting care for your building. All our staff are fully trained painting professionals with a minimum of 5 years experience and certificate III in painting and decorating. Our staff have obtained elevated working platform licences and can work up to heights of 15 meters. We are fully trained in the latest OH&S requirements. All job sizes are welcome from single dwellings to high-rise buildings and factories. You can rest assured that the team at Industrial Domestic Commercial Painting Service know what it takes to complete a job to your exacting standards, on time, and on budget. At Maurie’s Painting Services, We offer superior interior painting services for home & offices in Melbourne. We offer advice on how to care for your painted walls once we are done. Our company offers quality, efficiency, and prompt service each time. 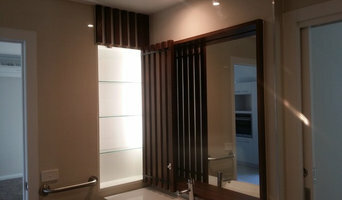 Call us at 0419-552-449 for Port Melbourne local interior specialist painters. We sell designer (non woven) removable wallpapers to Australians at a competitive price. Our removable wallpapers are EASY to INSTALL, ECO-FRIENDLY, and REMOVE DRY (no steam or water) All our wallpaper are non-woven wallpapers. They are easy to install, allowing you to paste the wall rather than soaking the wallpaper in messy glue. They don't expand or contract like the old days and once on the wall, they will slide making the lining up of the pattern easier. They are also tear resistant so there is no tearing of paper while installing it. Non-woven wallpapers are both washable and breathable, making them resistant to mold, thus perfect to decorate bathrooms, kitchens and laundries. But the real benefit of non-woven wallpaper is this wallpaper can be completely dry when you remove it so there is no need for the dreaded steamer or water, it should come down in full sheets making it possible to be re-used again if you so desired. Non-Woven Wallpapers are perfect for renters who love to decorate. Evershine Walls helps you define each space and section at your home or office such that they all reflect your personality and also the personalised touch which gives a definite meaning and purpose to every space. Doesn’t that sound wonderful? But hang on there’s more!! We offer free onsite consultation across Melbourne to help you decide the best Wallpaper for your Living Spaces. Set up in 2012, Wallcreations specialises in providing customers with personalised wall graphics for the home. Combined, PD Effects have 30 years’ experience in painting and decorating. We are qualified and insured tradesmen with a fast growing reputation. Our painters pride themselves on providing our clients with a professional and friendly service as well as being clean and reliable. We have experience with both domestic & commercial work, such as occupied homes, factories, showrooms, office buildings, Army bases, Air force, Fire Brigades, Councils and Airports. We also undertake work for construction companies painting new homes and extensions. Colourfied is an Australian design company committed to supplying 100% solvent free, non toxic paint that delivers a safe choice for beautiful interiors that are friendly both to humans and the environment. Totally safe for Mums to be and for the littlest members of our families. For over 20 years, we’ve been providing professional and dependable residential and commercial painting services to Melbourne. From a Victorian in Clifton Hill to a mansion in Toorak to an apartment in Southbank or a studio in St Kilda, we’ve done it all. Our team of expert painters are dedicated to improving any interior or exterior. No project too big or too small; whatever your project, we strive for your full satisfaction. We're the trusted painting service provider to many Melbourne home and business owners. We’re proud to be an eco-friendly painting service company. We're insured, trained, experienced and most importantly we pride ourselves in our reputation.